Before having my two beautiful boys I worked as a Learning and Development Consultant in the financial services industry. I enjoyed my job, but not the long working hours! After having my children I realised that I wanted a career that fitted in around my family life and in 2008 I saw an advert for a Jo Jingles teacher in the area. I decided to apply as I have always had a love of music and saw how the job fitted in so well around a family. I have an HNC in Performing Arts and have been involved in dance and drama from a young age. I was thrilled to get the job, and have been teaching Jo Jingles classes ever since. I purchased the Fife franchise in 2011 and I love teaching classes - they provide children with a fantastic learning experience and are a huge amount of fun! 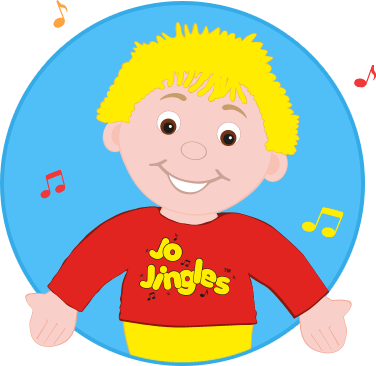 Along with my class teachers, Kirsty and Andreas we run nearly 30 classes every week and aim to make Jo Jingles the best music experience for children and parents in Fife. I'm Andrea and I have worked for Jo Jingles for 4 years. I started off attending classes with my 2 children before becoming a class teacher. I loved everything about coming to the classes and getting really involved in all the singing and dancing. The opportunity to become a class teacher came at just the right time for me as I get to do something I love that fits in perfectly with the demands of having 2 young children. 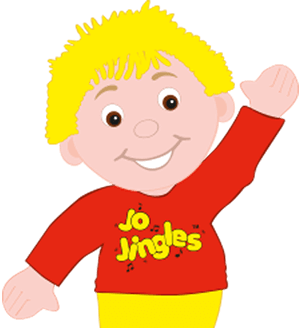 Before working for Jo Jingles I worked for many years in a customer service role. I have trained classically in singing for many years and have sung in various amateur Opera performances. My hobbies include travelling, playing piano, going to the theatre and of course singing. My name is Kirsty, and I live in Dunfermline with my husband, our 4 children, and our Border Collie, Harris. 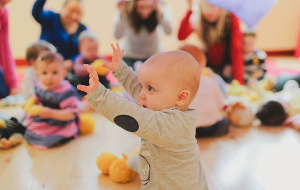 I have been taking my children to Jo Jingles classes since they were babies and love how much the classes help them learn and gain confidence. I previously worked for Jo Jingles, and took a break while I had my youngest children. Now they are a little older I was delighted to recently have the opportunity to return to my class teacher role. Being a class teacher is very rewarding as it allows me to take part in children's development, build new relationships, and it is the perfect complement to my own family life. We’re on round two of our jingling journey, and I’m amazed how Julie manages to keep all the classes so fresh! We’re on round two of our jingling journey, and I’m amazed how Julie manages to keep all the classes so fresh! In almost four years no two classes have been the same. My son benefitted hugely from Jo Jingles already (tidy up time, taking turns, following instructions, dancing, trying instruments, picking out rhythms, confidence talking in groups, confidence talking to adults) but the other day at class I got a great reminder about how much us adults can get from it too. Belle’s been attending class since she was 1 week old I think, and over Christmas she’s really come on in terms of walking, so I got a real buzz last week when we went back and she was dancing about, parading up and down the class and following Julie’s instructions. I was so proud to see her enjoying herself so much, and throwing herself into the activities, I was on a high for the rest of the day! She did so well I even treated her to her own Jo doll! 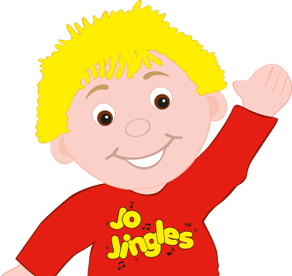 Just to say I am really pleased to have been part of the last 2 terms of Jo Jingles. Emily and I are looking forward to many more. Just to say I am really pleased to have been part of the last 2 terms of Jo Jingles. Emily and I are looking forward to many more. I am in awe at the level of enthusiasm and character you bring to each and every session. Also remembering the names from every class you take. Amazing. Thank you Julie for making little people and their parents so happy. Absolutely fantastic class for tiny humans (up to school age). Since our daughter was born we have been to a variety of music and sensory classes. Jo Jingles has been the best by far! We have been going along for a year now, and every week we still love it (parents and baby alike!). Julie, our class leader, just makes it amazing. 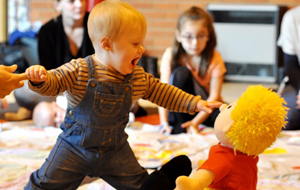 She is full of energy and enthusiasm and gets to know each child (what songs/instruments they like and what makes them smile and laugh). I cannot recommend this class enough!